A new social committee for staff at a Shropshire law firm has raised almost £600 for charity this year. The group from Shrewsbury-based Wace Morgan Solicitors has been busy organising a range of outings and events. 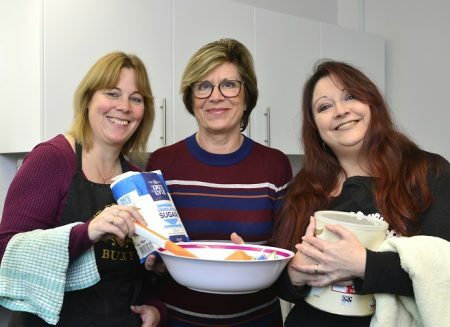 “The committee is proving to be a great way of getting staff together in an informal and fun way and also of collecting money for good causes in the county and mid Wales,” said conveyancer Karen Ashton, who chairs the committee. Fund-raising events such as buffets and book sales have been hosted and social outings have included trips to see the musicals 9 to 5 and Legally Blonde at Shrewsbury’s Theatre Severn, a visit to the Salopian Brewery in Hadnall and a day out in Liverpool just before Christmas. “One of our most popular highlights was a ‘Great Office Bake-Off’ which was organised recently by Byron Kuiter, our assistant administrator. “We held several rounds of the competition when members of staff carried out blind tastings in return for a donation. Our winners were Heloise Jones, Debbie Bensley-Edwards and Barb Somers who received Great British bake off spatulas as trophies. “Staff are also really enjoying our social get-togethers, when family and friends can come along too,” Karen added.